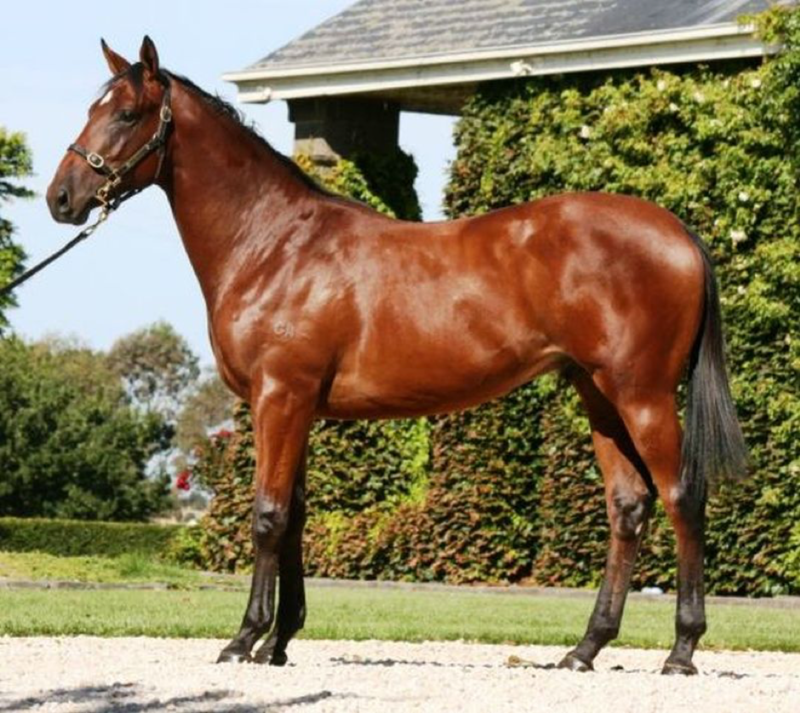 G1 T.J Smith Stakes winner Santa Ana Lane as a yearling. Rosemont sales graduate Santa Ana Lane delivered a commanding performance at Randwick to beat the country’s top sprinters with unexpected ease. A son of Lope De Vega (IRE) Santa Ana Lane’s performance was unexpected in terms of how effortlessly he surged past a sterling edition of the Group 1 TJ Smith Stakes, leaving the best sprinters in the country in a race of their own. Currently in demand by almost every Everest slot holder, the six-year-old is now poised to showcase his talents on the international stage. With an impressive tally of five domestic Group 1 victories, Santa Ana Lane has nothing left to prove on the Australian turf, prompting trainer Anthony Freedman to look further afield. Freedman is eyeing the Group 1 Chairman’s Sprint Prize over 1200 metres at Sha Tin on April 28th then the Group 1 Diamond Jubilee Stakes over the same trip at the Royal Ascot festival in June. “Everything has got to go to plan though, so we’ll see how it pans out,” he said. Santa Ana Lane was bought as a six-week-old foal at foot to his dam Fast Fleet by Melbourne barrister Dyson Hore-Lacy for $60,000 at the Patinack Farm Reduction Sale in 2012. Hore-Lacy placed him in the care of Rosemont Stud, west of Geelong, where he was raised before being presented at the 2014 Inglis Premier Yearling Sale. He made what now seems like a modest $80,000 in the ring but had plenty going for him according to Rosemont Stud’s Anthony Mithen. “I remember him well…he was such an uncomplicated type of horse,” Mithen pointed out. The five-time Group 1 winner’s dam, Fast Fleet was sold at the 2018 Magic Millions National Broodmare Sale in foal to Darley’s son of Tapit, Frosted for $200,000 by Aquis Farm, and is currently in foal to Zoustar. Santa Ana Lane first announced himself in the top grade when he won the Group 1 Sir Rupert Clarke Stakes in 2017 and the following year added the Group 1 Goodwood Handicap, the Group 1 Stradbroke Handicap and the Group 1 VRC Sprint Classic. The key to Santa Ana Lane is being patient and keeping the gelding’s races well-spaced. As is his custom, Santa Ana Lane settled at the back of the field with the pace set up by the two-time Everest winner Redzel (Snitzel). Rider Mark Zahra asked the horse to pick up ground 600 metres from home and Santa Ana Lane joined in enthusiastically in the closing 200 to surge clear and win with aplomb.